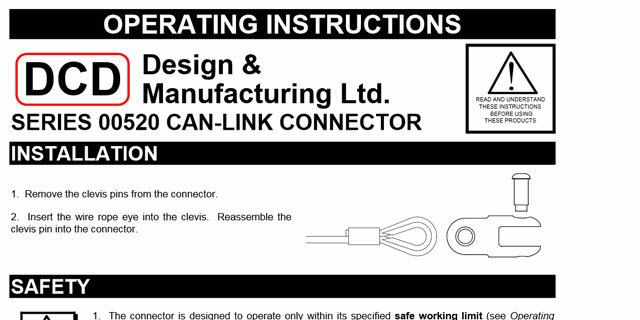 The Can-Link Connectors are used to connect two items with lug or wire loop fittings. 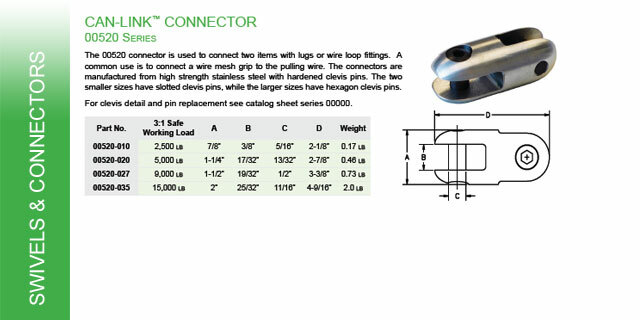 A common use is to connect a wire mesh grip to the pulling wire. 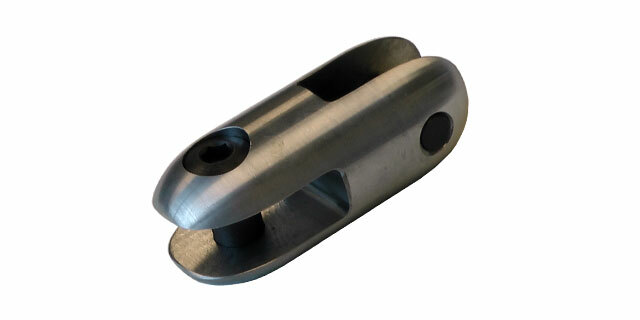 The connectors are manufactured from high strength stainless steel with hardened clevis pins. 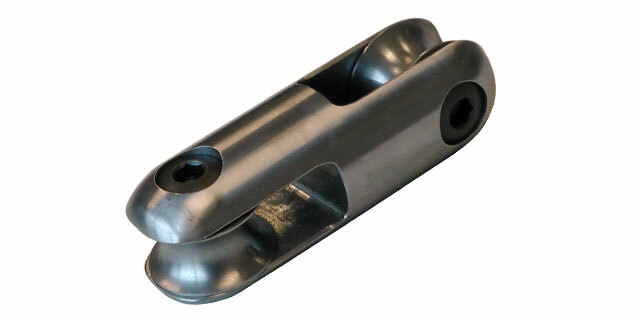 The two smaller sizes have slotted clevis pins, while the larger sizes have hexagon clevis pins. 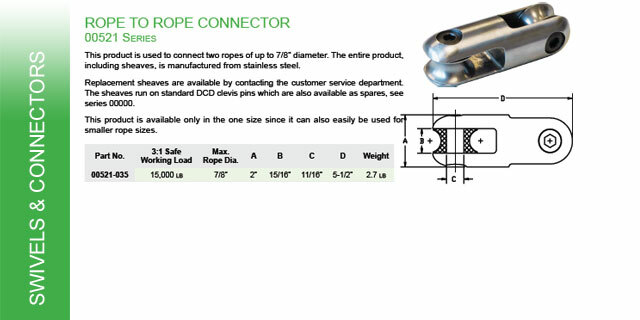 The Rope to Rope Connectors are used to connect two ropes of up to 7/8" diameter. 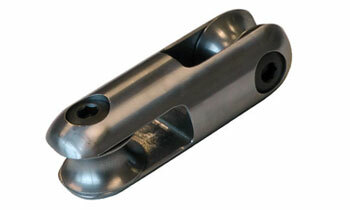 The entire product, including sheaves, is manufactured from Stainless Steel. 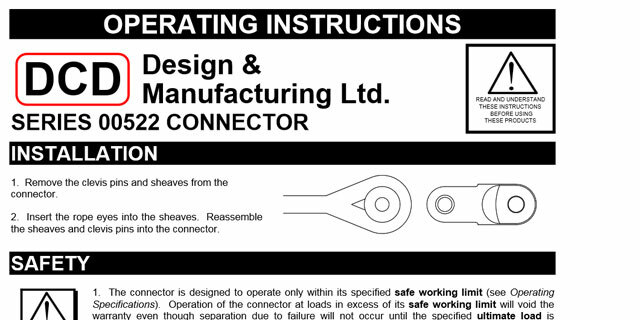 Replacement sheaves are available by contacting the customer service department. 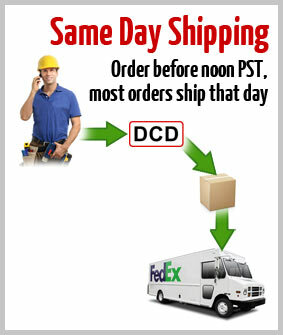 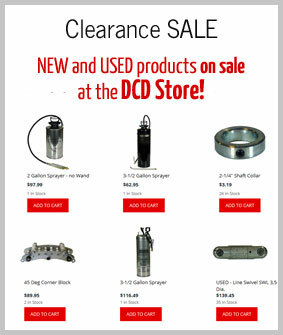 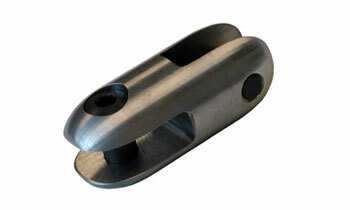 The sheaves run on standard DCD Clevis pins, which are also available as spares. 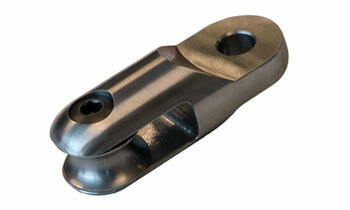 This product is available only in the one size since it can also easily be used for smaller rope sizes. 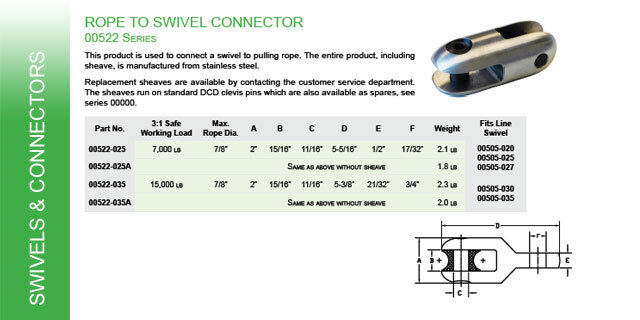 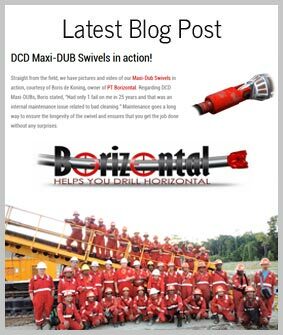 The Rope to Swivel Connector is designed to achieve in two products what the competition does in four. 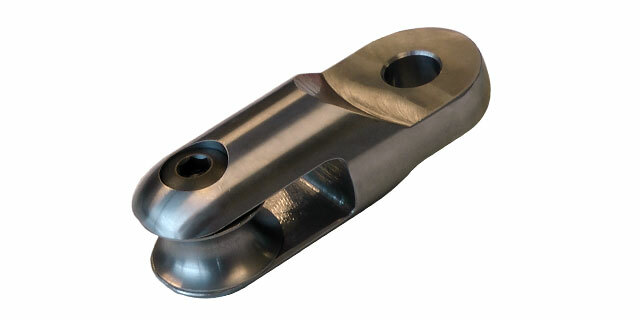 These all Stainless Steel connectors are designed to maximize usefulness by both catering to the same rope capacity and simply offering different ends to attach to the most popular swivel sizes. Replacement sheaves are available by contacting the customer service department.